The Rev. 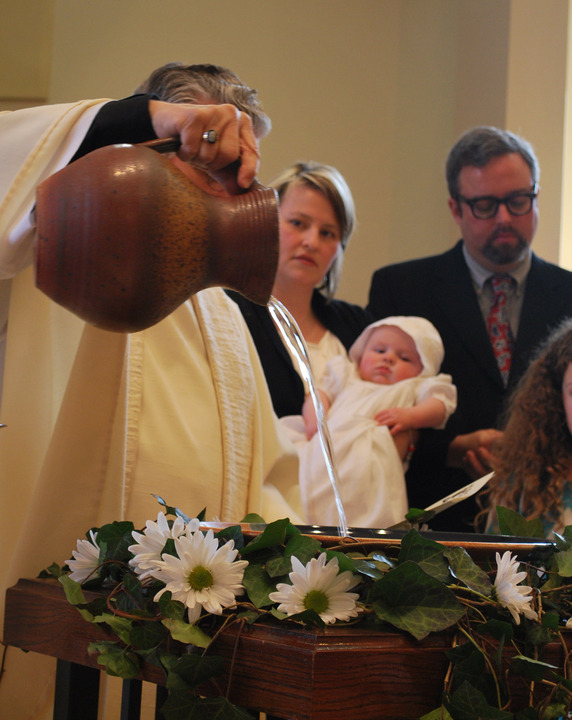 Ron DelBene fills the baptismal font for the christening of Jackson Arthur Moore, waiting in the arms of his parents, Karen and John Moore. Feb. 15, 2015.